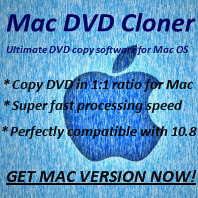 Q: I have registered Any DVD Cloner Platinum, but it remains in Evaluation version. What can I do? A: You can try uninstall the program and delete all related files of the program firstly, then reinstall the latest version. NOTE: Besides uninstalling the program via Control Panel, you can find out a folder named with the program's name via Hard Drive Disc C-->Documents & Settings-->click current user folder-->My Documents, then you can find out a folder named by "Any DVD Cloner Platinum", please do remember delete it. Then install the latest version of Any DVD Cloner Platinum( it is advised to install the program to another disc if the problem still exists).